A man with an ISIS-inspired suicide plot went into one of New York City's busiest subway corridors and detonated a "low-tech" pipe bomb strapped to his chest with Velcro and zip ties just as Monday's morning commute got underway, setting off mass evacuations but leaving no one but himself with serious injuries, according to city and state officials. NYPD officials have detained and identified the suspect as Akayed Ullah, a 27-year-old man of Bangladeshi descent living in Brooklyn. 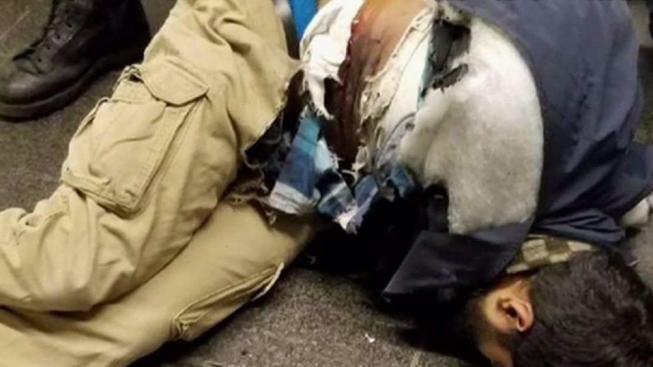 Commissioner James O'Neill said Ullah "did make statements" about ISIS following the blast in a block-long tunnel between the Times Square subway station and a stop under the bus terminal around 7:15 a.m.
Four commuters were taken to hospitals with injuries consistent with being at the scene of an explosion including ringing ears and headaches, but all have since been released. A man with a "low-tech" pipe bomb strapped to his body with Velcro and zip ties detonated the device in an underground passageway near Port Authority Bus Terminal in midtown Manhattan as Monday's morning commute got underway, prompting mass evacuations but appearing to seriously injure no one but himself, according to city and state officials. Sarah Wallace reports. "This was an attempted terrorist attack," said Mayor Bill de Blasio said. "Thank God the perpetrator did not achieve his ultimate goals." When questioned, Ullah allegedly told investigators he intentionally detonated the device in that passageway because he noticed a holiday poster in a corridor nearby and, angry over U.S. bombings in ISIS controlled territory, was inspired by ISIS-style Christmas threats, according to two law enforcement officials. Ullah allegedly said he intended for it to be a suicide bombing and that he watched Internet ISIS propaganda, read extremist writings and learned how to make bombs through online tutorials. Law enforcement sources have said it didn't appear Ullah had direct contact with the terror group. Ullah, a licensed city cab driver from March 2012 through March 2015, is believed to have been the only person involved. 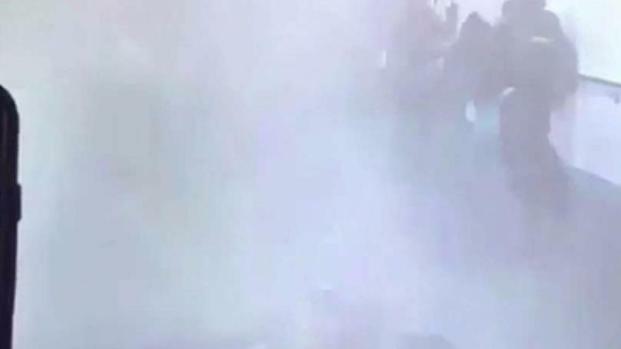 Grainy surveillance video captured the moment of the blast; a man, whom police said is Ullah, is seen on the ground after the smoke clears. A law enforcement source said Port Authority police officers cuffed him and brought him to a hospital with a serious stomach laceration and burns to his hands and torso. 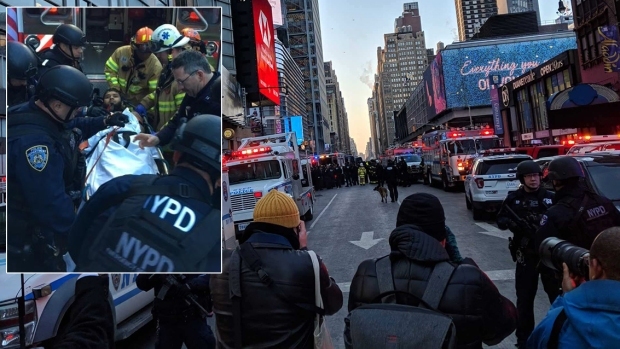 The suspect, an electrician, allegedly told investigators he bought the materials himself and that he found the pipe at a job site close to Port Authority Bus Terminal, around 39th Street and Eighth Avenue, according to two senior officials. A senior official familiar with the investigation told News 4 Ullah took the subway to the scene; he got on the F train at 18th Avenue in Borough Park and transferred to the A at Jay Street. 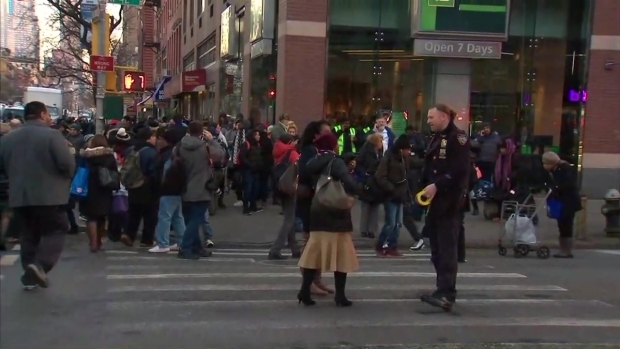 He had a MetroCard on him, which authorities are running, and officials are also looking at any surveillance camera from the Jay Street and 18th Avenue stations. Roseanna Colletti is at Mount Sinai West Hospital where some of the victims of the Port Authority Bus Terminal were treated and released. Authorities also searched Ullah's Brooklyn home and a nearby rented space and interviewed witnesses and relatives, leading his family to say they were "outraged" by law enforcement. Possible charges haven't been released yet, but a law enforcement source with knowledge of the case told News 4 the case is likely to be prosecuted federally. The situation appeared to be contained relatively quickly and authorities said there were no known additional threats. Witnesses said it smelled as if a firecracker had gone off after the blast. The FBI's Joint Terrorism Task Force responded to the scene. In a statement Monday afternoon, President Donald Trump said the bombing "once again highlights the urgent need for Congress to enact legislative reforms to protect the American people" including fixing the country's "lax immigration system." 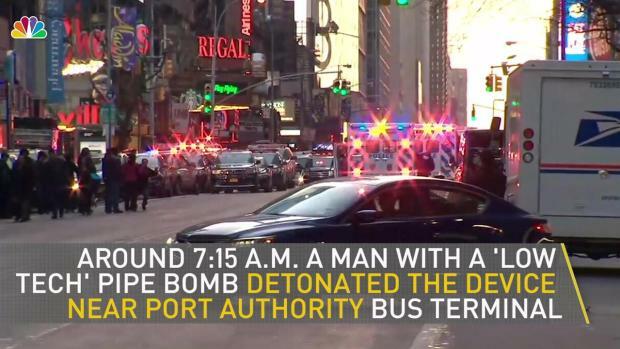 This is how a suspected terror attack played out in New York City on Monday morning, from a bomb blast at the Port Authority Bus Terminal before rush hour in the morning, to the search of a man's home in Brooklyn. "The terrible harm that this flawed system inflicts on America’s security and economy has long been clear," he said. "I am determined to improve our immigration system to put our country and our people first." Gov. Andrew Cuomo said at a news briefing the situation could have been much worse, adding, "This is New York, the reality is we are a target by many." "This is the most resilient place on Earth," de Blasio added. "We've proven it time and time again." 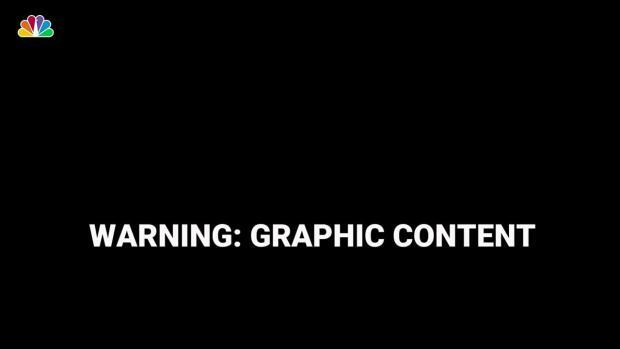 A photo published by the New York Post showed a bearded man crumpled on the ground with his shirt apparently blown off and black soot covering his bare midriff. A police officer is holding the man's hands behind his back. 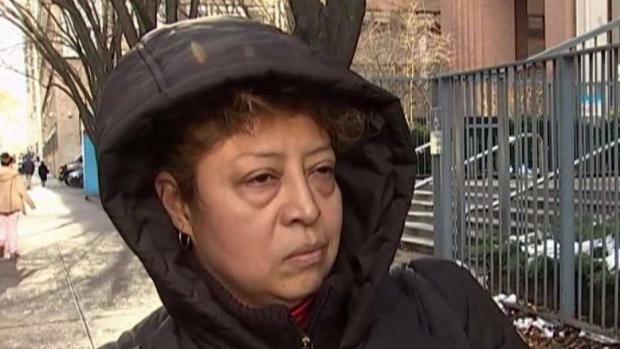 Elrana Peralta, a customer service worker for Greyhound, said she works in the Port Authority terminal complex near where the blast happened, but didn't hear the explosion. John Miles, 28, of Vermont, was waiting for a bus to Massachusetts. He also didn't hear the blast, but saw police react. "I didn't know what was going on. Officers were running around. I was freaking out," he said. "There was an announcement that people should take their bags and leave. "They didn't incite panic. It was fairly orderly." "Bangladesh is committed to its declared policy of 'Zero Tolerance' against terrorism, and condemns terrorism and violent extremism in all forms or manifestations anywhere in the world, including Monday morning's incident in New York City," the South Asian nation's government said in a statement. Subways avoided the area for hours after the attack, and Port Authority was shut down as authorities investigated. Also, 14th, 23rd, 34th and 42nd streets -- among Manhattan's busiest cross-town thoroughfares -- were closed from the Hudson River to East River until the mid-afternoon. Meanwhile, attention turned to potential vulnerabilities in the transit system, which hadn't seen a pipe bombing since December 1994, when an explosive made from mayonnaise jars and batteries wounded 48 people in a car in lower Manhattan. In a tweet hours after the blast, O'Neill said it takes more than just the NYPD. "How can #NYC can keep such a vast subway system safe? It takes all 6M people who ride the trains every day — everybody’s eyes and ears," the police commissioner said in a tweet. "If something doesn’t look right, doesn’t feel right — flag down a cop, give us a chance to investigate. Public safety’s a shared responsibility." O'Neill pointed out earlier that the transit system has nearly 3,000 cops, including strategic response and critical command teams. "All parts of the system are patrolled," he said. The Port Authority Bus Terminal is the nation’s largest bus terminal and also the world’s busiest, according to the agency. It serves about 230,000 passenger trips every weekday and about 600 bus movements during the peak rush hour. A huge emergency presence and law enforcement presence is seen near the Port Authority Bus Terminal Monday morning after an explosion.